The match which will not have any impact on the tournament will start at 7:30 pm IST, today, i.e., Monday in Delhi. It is the Group 1 clash of Super 10 stage. 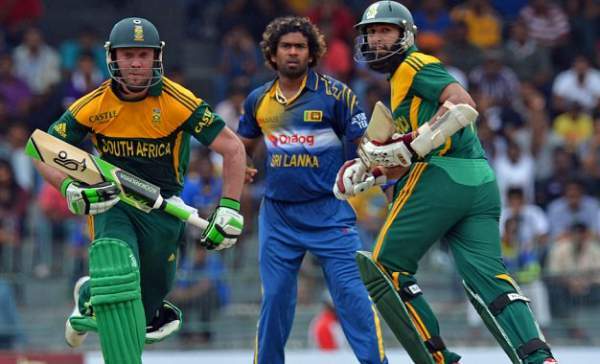 England did the damage to both the teams – SL and SA. English side knocked Srilanka out by ten runs on Saturday. From the Group 1, West Indies and England qualified for the semifinal round. England team won their last game with just a difference of very few runs. If Sri Lanka would have won the previous match, then there can be chances for their entry as the semi-finalist, but England put off their hopes. For SL, it can be said that they didn’t start the competition to win the title, but it’s a very harsh result for the South Africa cricket team. They had some experienced and potential players. They should have performed better. The Proteas tasted two defeats in three games which defined their destiny. The most which hurt them was the lost to England in the opening match. In that match, the Proteas failed to defend the massive score of 229 runs in which they had lost just four wickets. Though RSA won against Afghanistan, but they did scare hell out of them. The Proteas is the only team in the WT20 which scored over 200 runs twice and still struggled to defend it. On the other hand, stars of the Sri Lanka cricket team are not working well. First of all, their star players got retired. Then, the new captain Lasith Malinga got injured. Moreover, their rest of the experienced and pro players haven’t performed yet. As a result, all of them have only increased the miseries. South Africa and Srilanka both have won a single game and too against an inexperienced team, Afghanistan. Angelo Mathews will have to drive some way to bring back confidence and build a winning team. Mathews and Perera have been there, but couldn’t gave a platform to thrive. A new and young pacer Dushmantha Chameera is emerging, but the team needs more fuel and firepower in both batting and bowling departments. Today’s match is to be played at Feroze Shah Kotla in New Delhi. The ground has always been difficult for batting. Thus, score making wouldn’t be comfortable and batsmen need to know it. Before trying to score some runs, the batsmen should try to spend some time on the pitch to understand it. The ball doesn’t come to bat easily. The Srilankan team should have a better idea of the ground as they recently played on it. However, they should be careful while playing the wounded Lions, South African team as they would be looking for every single to make come back. The result of this match will not mean anything to the tournament. So, SL can play freely. Mathews, Kapugedera, and Perera will need to do something like what they did against England. They were just to pull off the win. If they successful bring back the outstanding performance, then the win would book their confidence high. Watch SL vs SA live score on starsports.com, hotstar, Star Sports TV channels, cricbuzz, ESPN Cricinfo, etc. Sri Lanka: Angelo (captain), Dushmantha, Dinesh, Tillakaratne, Rangana, Shehan, Chamara, Nuwan, Suranga, Thisara, Sachithra, Dasun Shanaka, Milinda, Lahiru. SA: Faf du Plessis (captain), Kyle, Hashim Amla, Farhaan Behardien, Quinton, AB de Villiers, Imran, Chris, Miller, Aaron, Kagiso, Rilee, Dale Steyn, David.